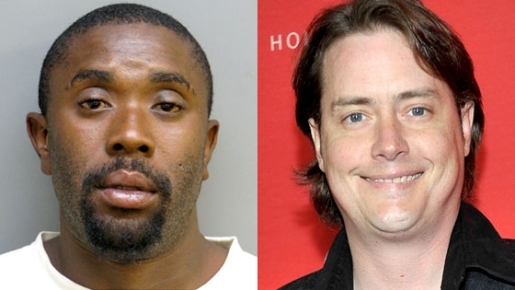 Actor Jeremy London has had a long history with drug use. In April, he did an interview with People Magazine where he talked about how he had a pill problem, and now he’s coming forward to confess to a relapse not of his own volition. The 37-year-old actor reported to police in Palm Springs that, while changing a tire on June 10, he was kidnapped and held at point by two men, finding himself forced to do drugs and drink for over five hours or be killed. I know, it sounds like an excuse, right? That’s what I thought, too. “Oh, he’s just fallen off the wagon and looking to make an excuse. Apparently, this isn’t true, because London’s two kidnappers, 26-year-old Brandon Adams and an unnamed man, were arrested the next day (after London escaped), where London’s car was found. Despite the two weird kidnappers being arrested, I have to admit I still kind of doubt this story, if only because it’s mind-bogglingly weird for me to think someone would force someone else, at gunpoint, to buy booze and smoke stimulant drugs.